Vengreso is the only full spectrum service provider of digital sales transformation, enabling marketing and sales alignment. The featured guest on episode 75 is Brynne Tillman. 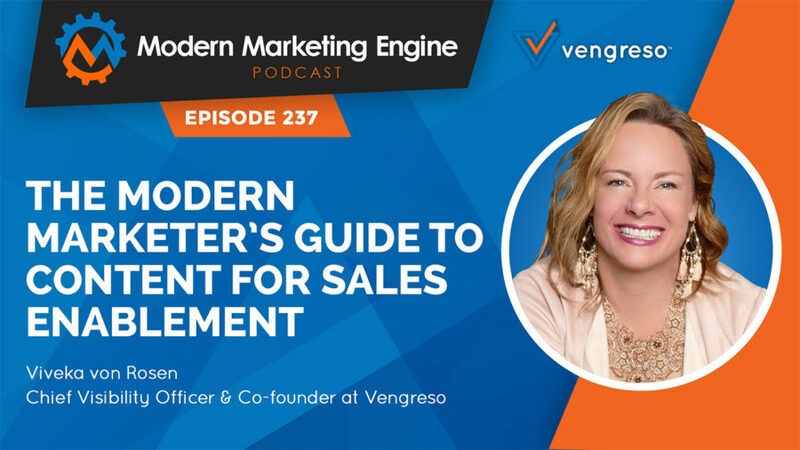 Brynne is a Co-founder of Vengreso and is an expert in social selling and using LinkedIn for sales. SAN FRANCISCO, CA (February 6, 2018) — Vengreso has announced that best-selling author, speaker and sales influencer, Shari Levitin, has been appointed to the company’s emerging Advisory Board. As the founder of the Shari Levitin Group, Shari has established herself as a sales training pioneer within the hospitality space. The 7 Vengreso co-founders share their vision for the new digital sales paradigm through alignment, mindset, skillset and toolset. The first 39 words of your #LinkedIn profile Summary are perhaps the most important. Why Nudge.ai? Reach out to the decision makers at Vengreso with a personalized email - let them know that you found their recent news mention interesting. Nudge.ai’s relationship intelligence platform can help you find the right executive to reach out to at Vengreso, such as Bernie Borges, CMO, or Viveka Von Rosen, Co-Founder / Partner. Then get in touch and start a conversation. Executives can be difficult to reach, but every company has connectors who bring together people and ideas. At Vengreso, people like Bernie Borges, and Viveka Von Rosen are likely connectors. When Vengreso is mentioned in the news, Nudge.ai often sees topics like Marketing, and Content Marketing. If your conversation focuses on these topics, you’ll probably get Vengreso’s attention. When Vengreso is mentioned in the news, companies such as Content Marketing Institute, Xactly Corporation, and Epic are often also mentioned. These companies can serve as customer examples. Employees who are often in the news are usually open to starting conversations or exploring ideas. Nudge.ai's sales AI saw Bernie Borges, Viveka Von Rosen, and Mario Martinez from Vengreso recently mentioned in the news. What kind of a first impression are you making with your LinkedIn headshot? Learn Chuck Shaver's Quick Tip of the Week on choosing the best profile picture in this video. Who in your network can introduce you to Vengreso? Nudge.ai finds the best pathway to reach contacts at this company.